As part as my Design Team duties for The Crafty Scrapper, I was given a blank Maya Road Canvas Heart to alter any way I desired, although I had to add a picture of myself and a few words about what Art means to me. This is what I came up with, and boy did I have a blast making it! It's a little hard to read what it says, as I think I should have let things dry a little better, but it's Wendy's sentiment which I think fits how I feel perfectly, "Let what you LOVE be what you do." I love Art! So I am also submitting this to the Everything Wendy Yahoo Group's Making Art Challenge for "4 Letter Word". 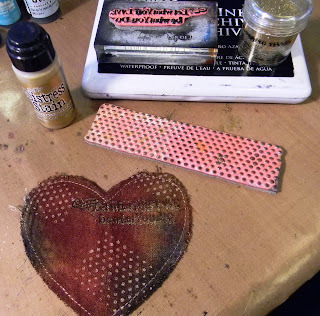 Since it's a heart and it's the season for hearts I might as well submit it to The Artist Stamper Creative Team Blog Challenge for "Hearts & Flowers", Sunday Stamper for "Love & Hearts", and for the "Ribbon" to Unruly Paper Arts Reader Art Quest 1. I love to see what comes out of that creative mind of yours! This piece is amazing! Gorgeous heart Anita! It turned out great and a beautiful quote! I hadn't heard that one before! It's beautiful, Anita! I love all of your embellishments. The ribbon twisted and stapled is way cool! SO beautiful!! I love all the textures. Anita - it´s a fabulous work - so beautifull - I love it so! 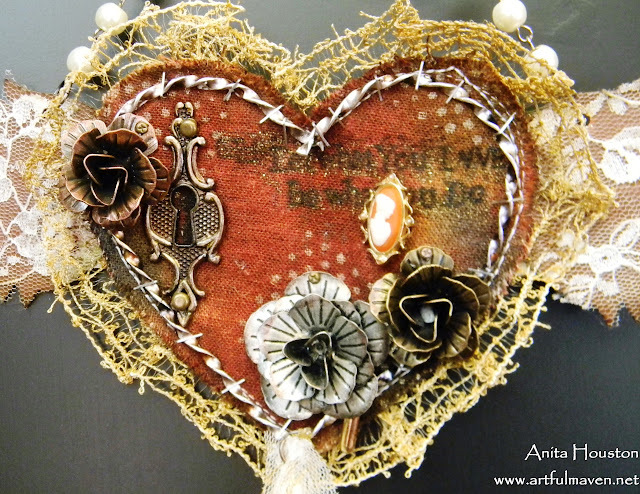 Love your mixture of metals and textiles, Anita! Beautiful and educational post. So glad ypu're on our team! A wonderful hanging heart, great mixture of all the different materials. 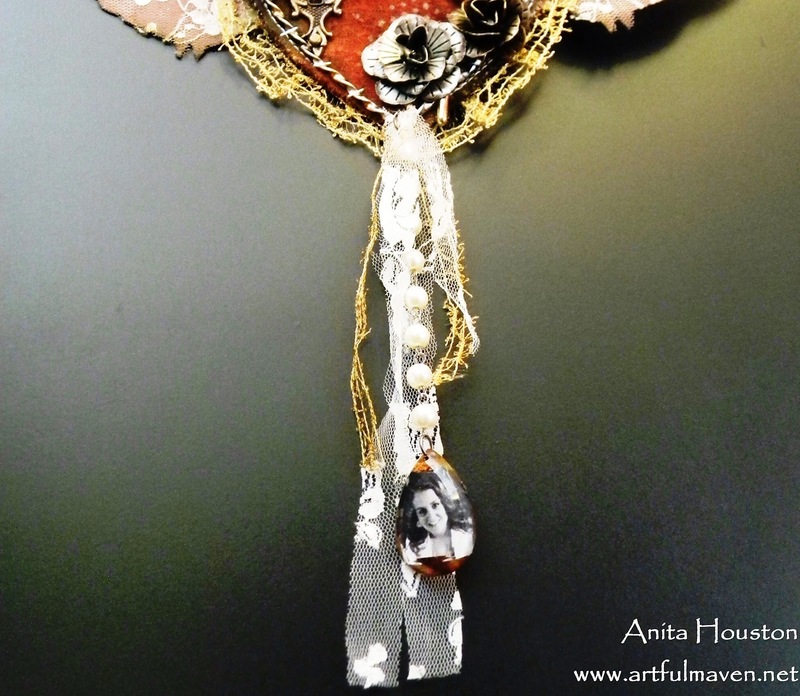 Oh Anita this is fabulous, love your crafty heart! It's wonderful, every little bit of it and such a cool idea!! Wow!!! It is so gorgerous heatr. I love it:) It is wonderful and beautiful elements lovely flowers and great idea with your photo. So gorgeous... the look of the canvas with those colours soaked into it is just fabulous, the dots are so cool and WOW the metallic flowers! What a fantastic project... I love what you do too! Love all the ribbons and lace on your heart. And I kinda like that you didn't wait for it to dry completly before you stamped the sentiment. I think the "fuzziness" of the words adds to the mystique of the piece! Beautiful Anita!! I hope you feel bett soon. Fabulous make! All the textures are just yummy. This heart looks fantastic! I love all the textures. Beautifully done! Ooo la la! Love this Anita..that fabric and lace is so cool! Thanks so much for joining the MAC! Lovely heart, Anita! You worked wonders with all the texture and that sentiment is so you! Hugs! I love it...especially the wings! What a fabulous piece of wall art! Love the base and how much extra texture you added around it with the fabric and lace. Beautiful! Lots of creativity in this creation Anita...gorgeous! This is stunning, Anita! I just love the grungy, inky,lacy yumminess of your heart. Its amazing!!! Every time I see a new post from you I say, "oh, goody!" Seriously, I do! You always share something wonderful with us...little pieces of your heart, and I cherish each post. This heart is such a neat projection of who you are: fun, playful, detailed, a little bit funky and incredibly creative. I think it's perfect. Happy Valentine's Day, my cyber friend! 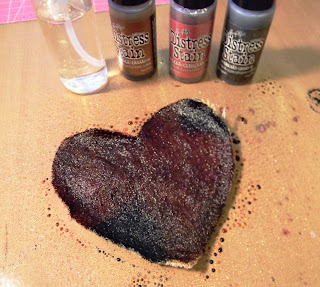 How fabulous ;) And thanks for playing at The Artistic Stamper this month. This is awesome. 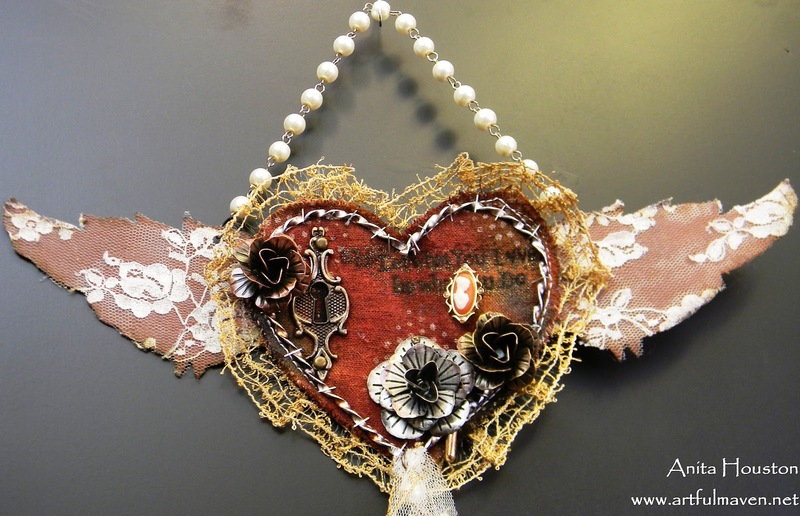 The wings are so cool and the trims and lace add lovely texture. I just want to touch it! 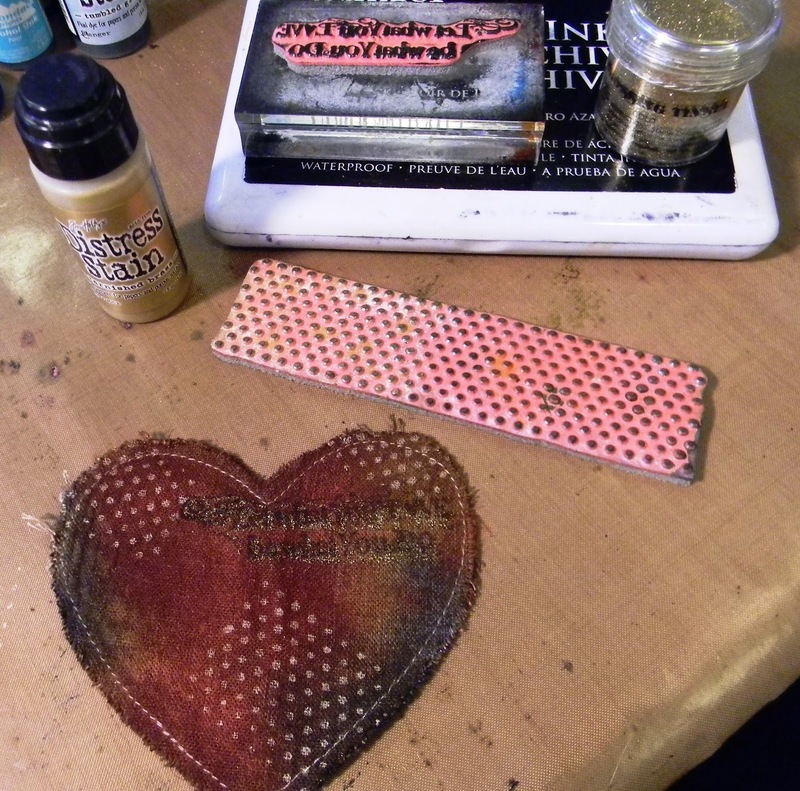 The heart is so cool all stained and stamped. Great job altering this. The hardware and metal flowers are such a fabulous contrast to the soft canvas and trims. Tis is one gorgeous piece you have created! 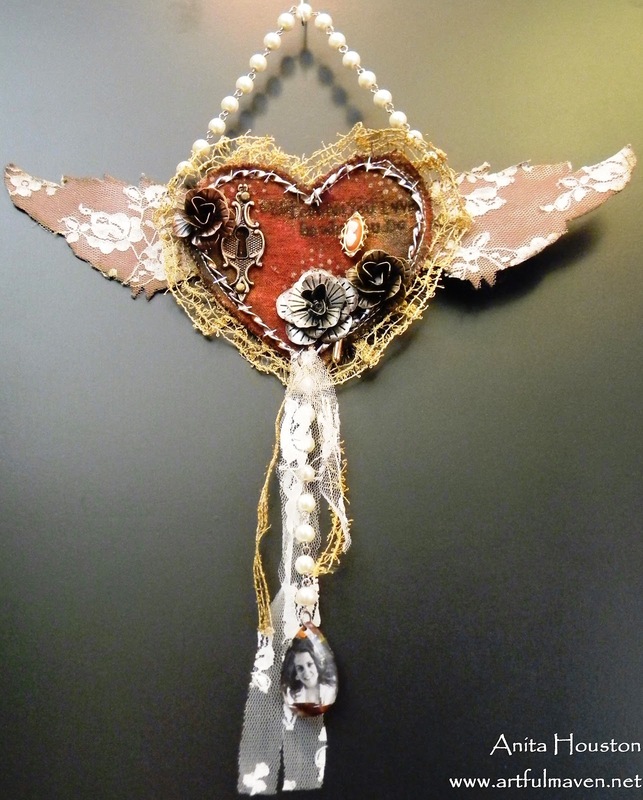 Gorgeous hanging, love your use of all the different materials, great textures and colours, best wishes.